Practice and improve your skateboarding skills, with our new skateboard coaching sessions! 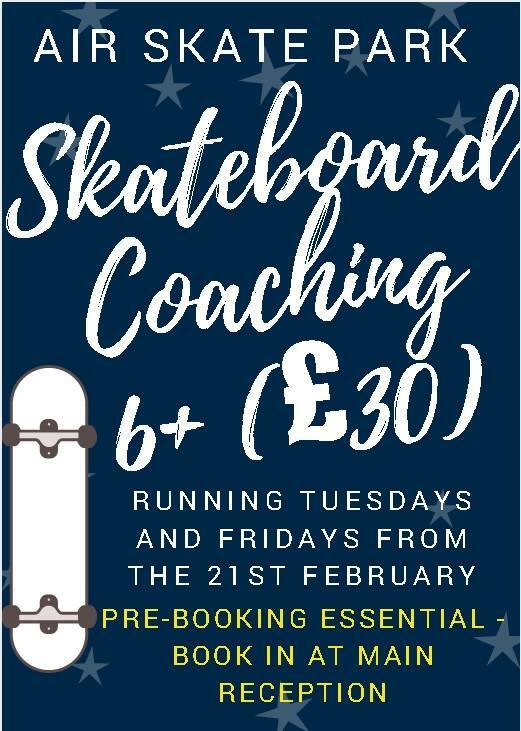 We are launching our skateboarding sessions from Tuesday the 21st of February! The sessions will be available from the 21st every Tuesday and Friday evening. Starting at 4:30pm open to any skater aged 6 years and above. 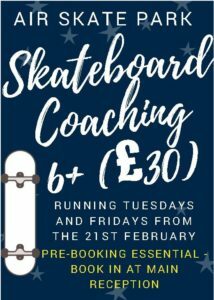 Our well experienced skateboard coaches Adam and Jamie aim to provide effective, fun and engaging skateboard coaching sessions. Book onto our new coaching sessions at the main reception. The price is just £30 for the full 6 week course.